“Tour the Hills” is a cycling event to raise much-needed funds for Cancer Assistance Services of Halton Hills (CAShh). This one-day event takes participants through the picturesque countryside of Halton Hills and is designed to get the community involved in a way that’s enjoyable, challenging, safe and beneficial to everyone involved. There are 2 cycling routes available to choose from; 40km ride (novice cyclists) and a 100km ride (avid cyclists). The ride will start and finish at the Trafalgar Sports Park in Georgetown. Pit stops will be set up along the routes to provide refreshments and healthy snacks along with first aid and bicycle repair services. Safety of the participants is paramount, so we will provide a ‘pick up’ vehicles and EMS services along the route to ensure participants safety. We want this to be a memorable and pleasant experience for everyone. In 2000, Cancer Assistance Services of Halton Hills (CAShh) was founded with an idea and a donation of $200.00. Seeing the need within Halton Hills of a cancer charity, CAShh took up the challenge of providing practical services to the residents of Halton Hills. CAShh delivers free community-based practical care and wellness programmes to help those coping with a cancer diagnosis and treatment. From transportation to and from Doctor and hospital appointments to hats and wigs, Reiki and practical home services are just a few of the important services we provide to patients and their families. 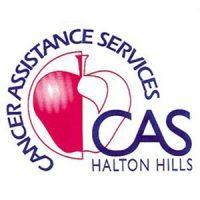 Cancer Assistance Services of Halton Hills is NOT associated with any cancer organization, nor do we receive any government grants to fund our services. Our services are funded locally from donations, fundraising events and the generous volunteers in the community. Our mandate is to help those touched with cancer. The need for quality services in Halton Hills continues to grow as an increasing number of men, women and children face a cancer diagnosis. The financial support of our community ensures that patients will continue to receive the unique care services we offer. The majority of the donations received at CAShh go directly to our patient programmes with only a small amount used for fundraising, administration and overhead expenses. Through the generosity of the Summer’s family, we have a wonderful office facility to conduct our business activities conveniently located within the Mountainview Terrace in Glen Williams. If cycling isn’t your thing but you would still like to make a donation, please donate. Thank you for helping us help those coping with cancer in our community.